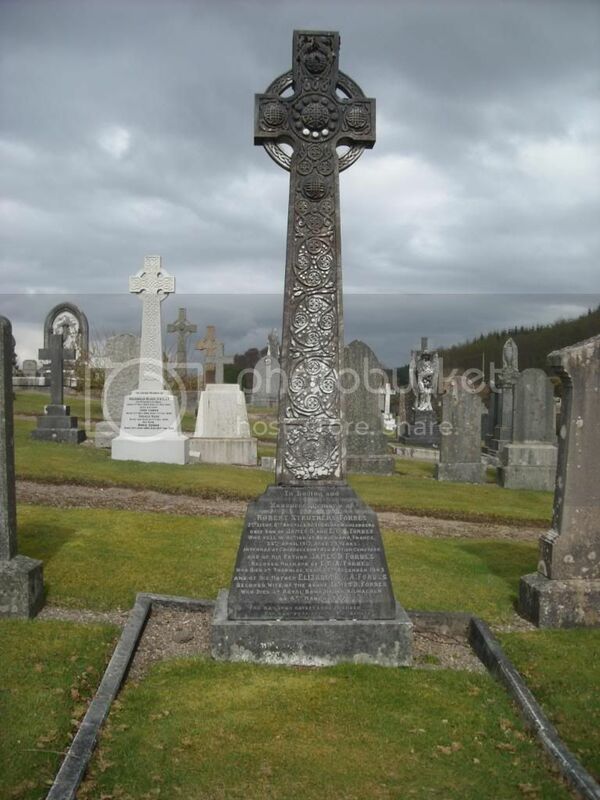 Two sons are commemorated on one cross. 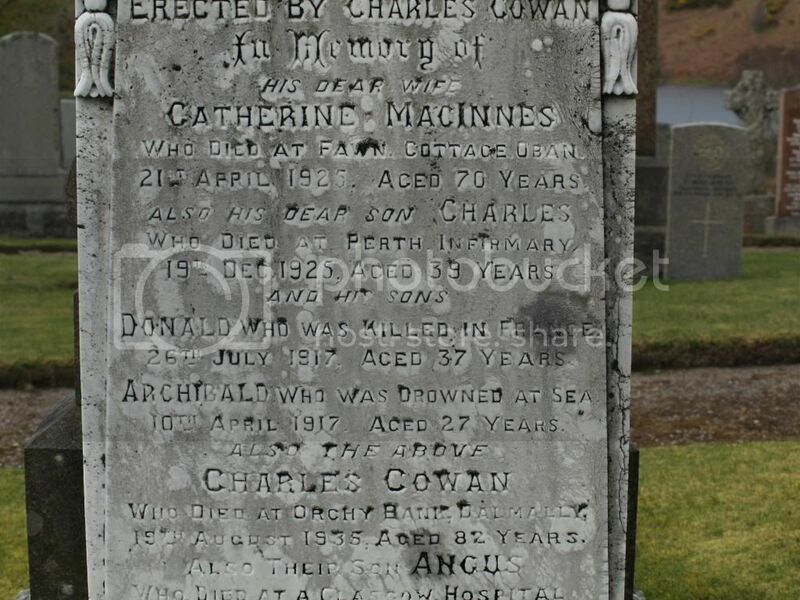 Both boys have no known grave and are commemorated on CWGC memorials. 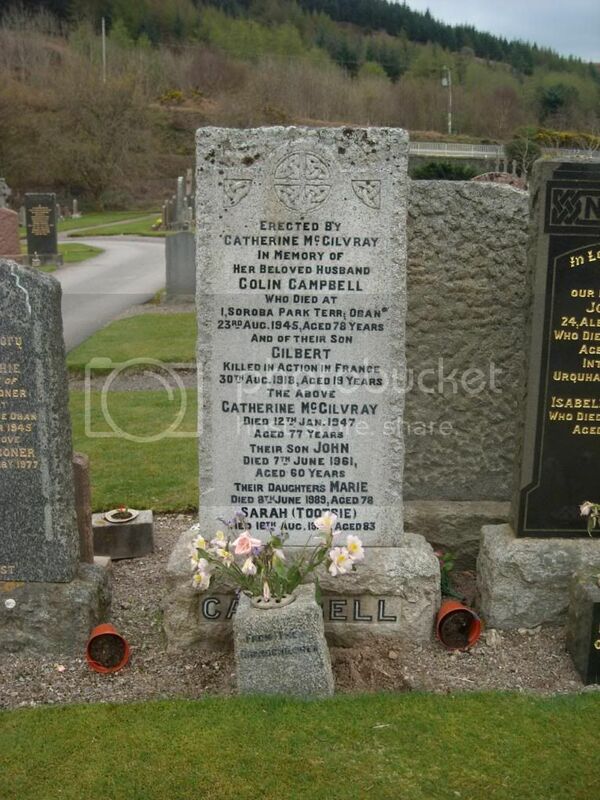 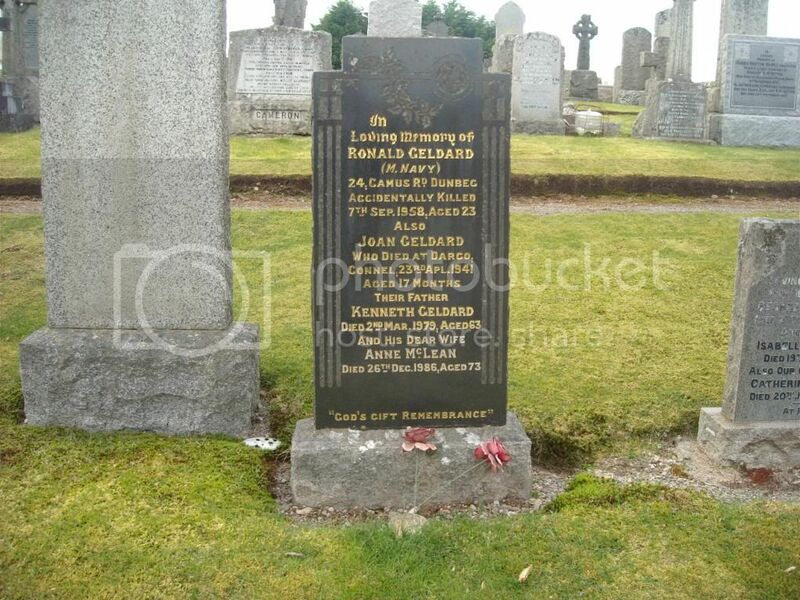 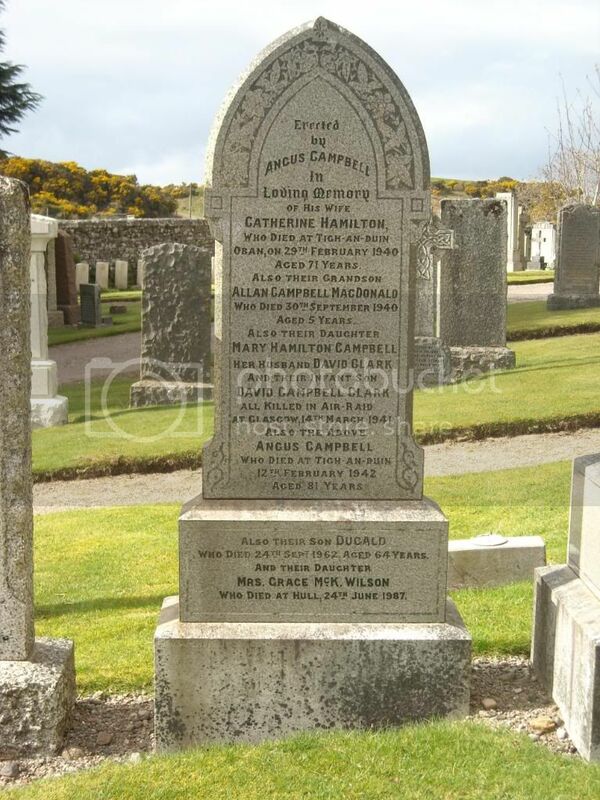 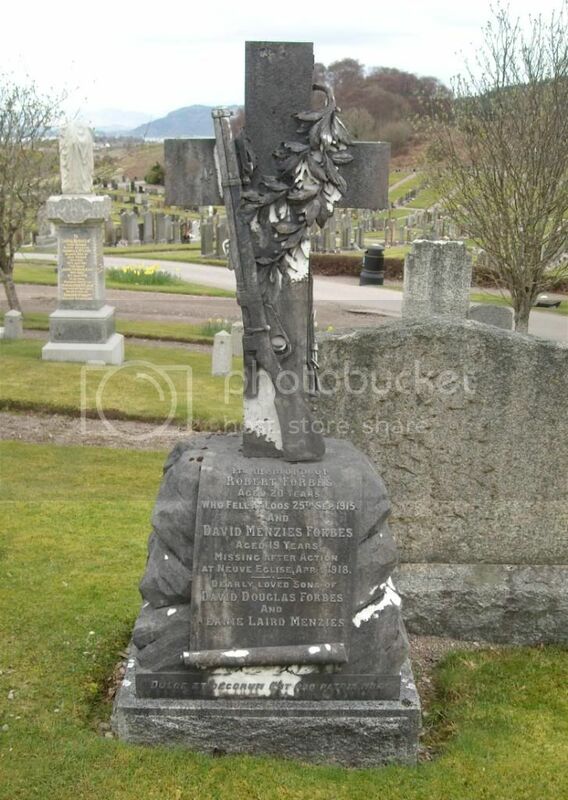 I don't know if the parents David Douglas Forbes or Jeanie Menzies Forbes were buried here later? 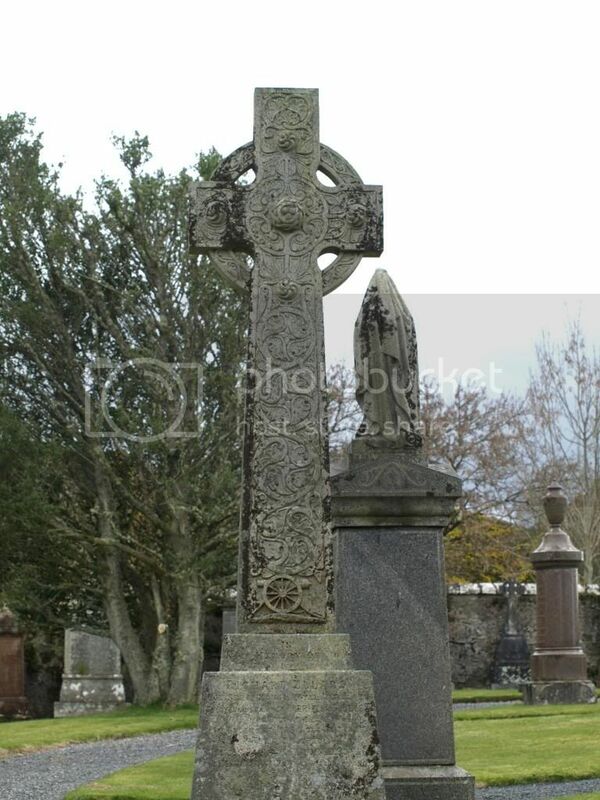 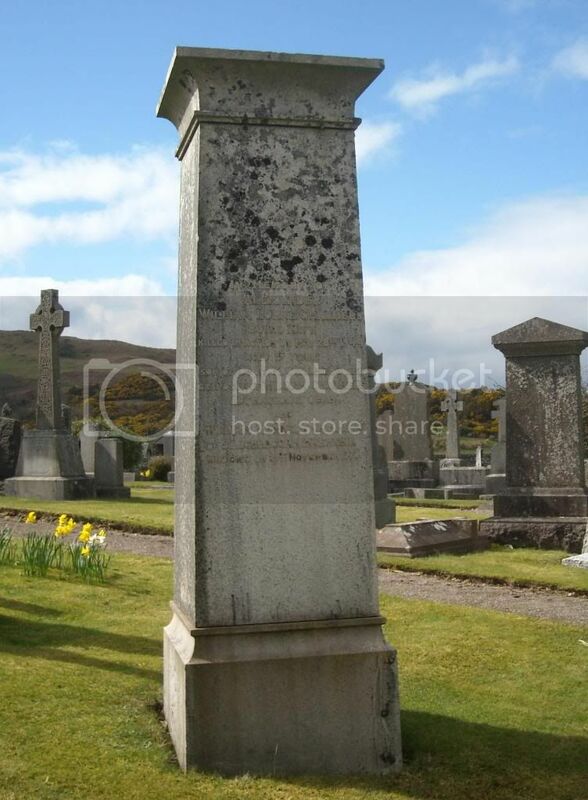 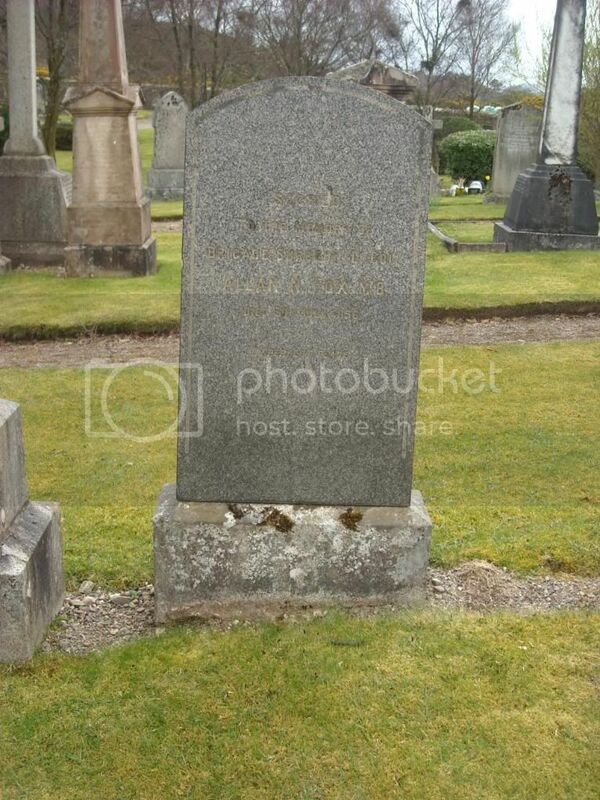 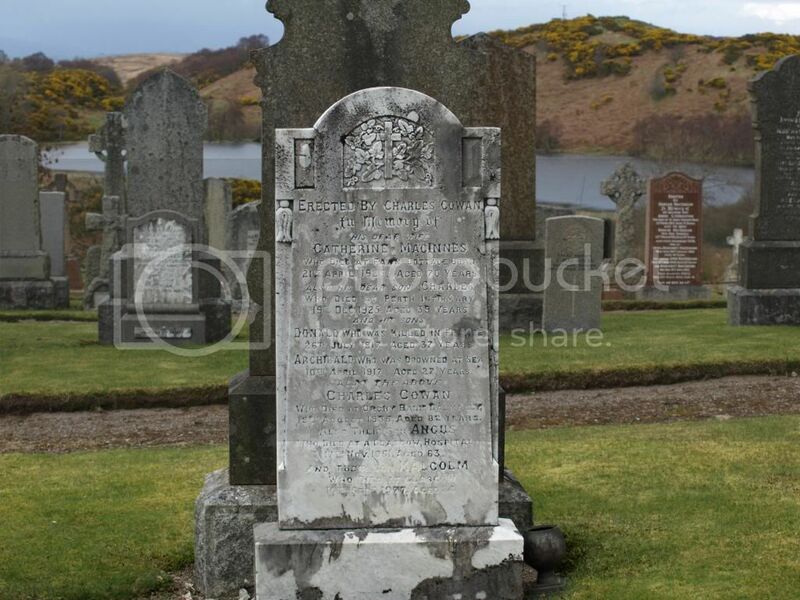 Additional information: Son of David Douglas Forbes, of "Glenara", Oban, Argyll. 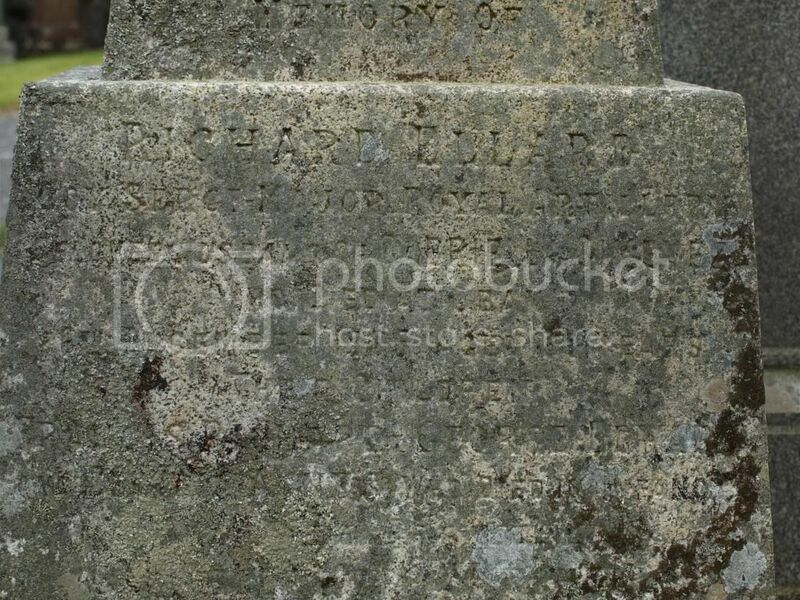 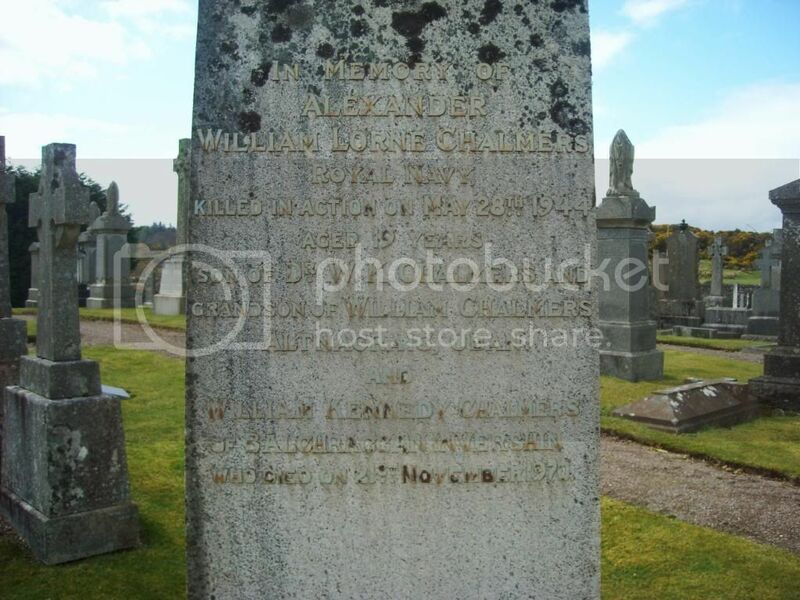 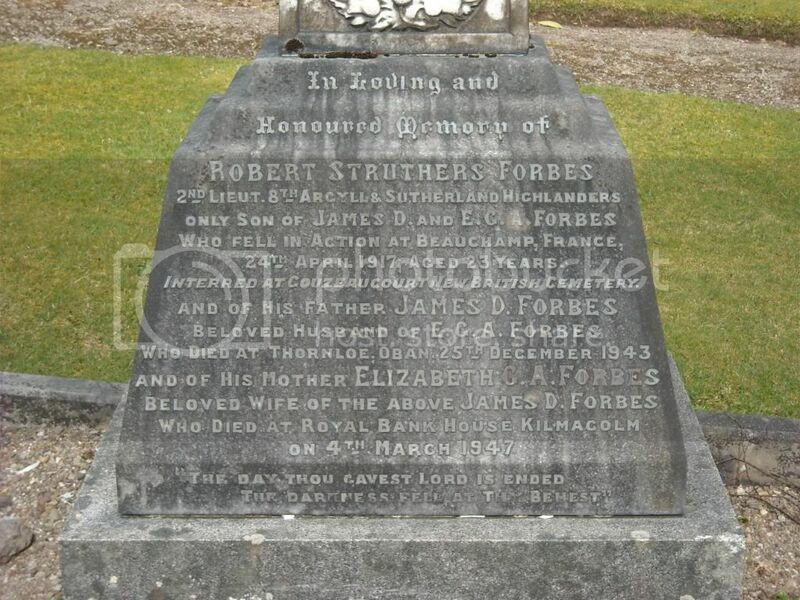 Additional information: Son of Mr. and Mrs. David Douglas Forbes, of "Glenara", Oban, Argyllshire. 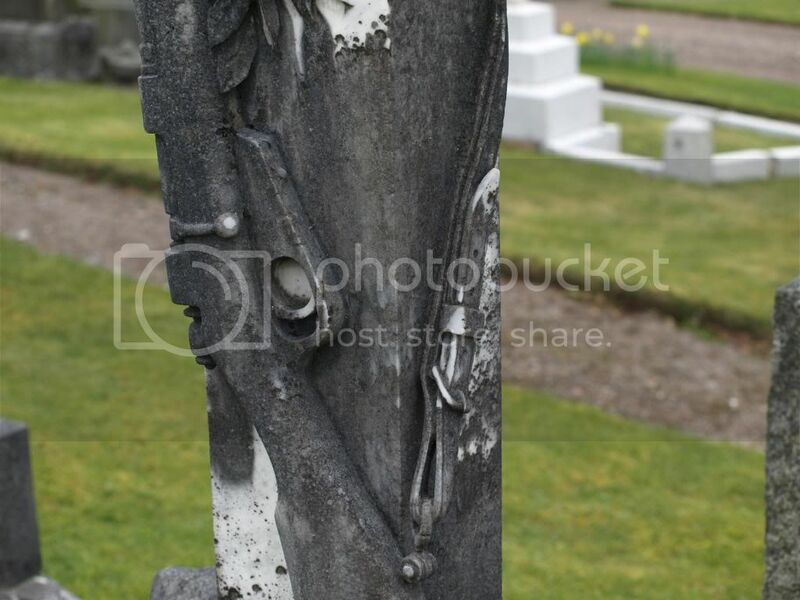 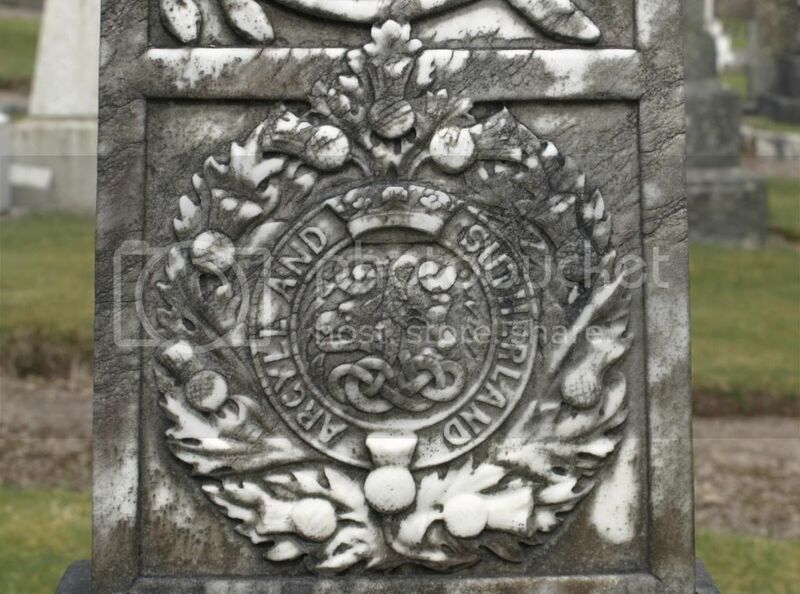 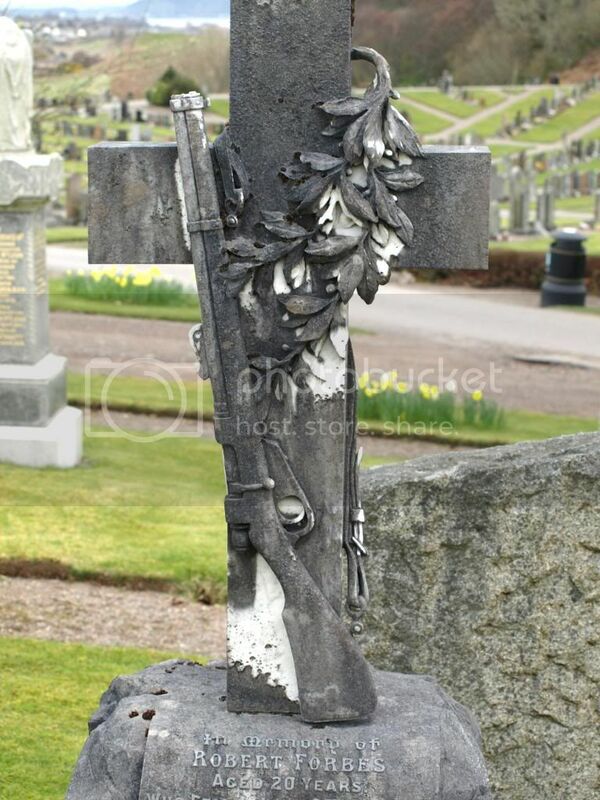 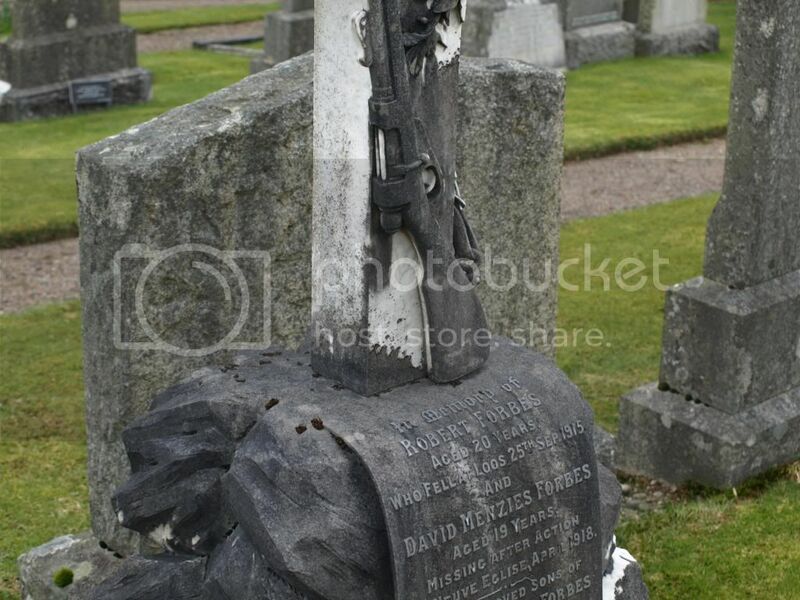 This stone has a very nice detail of a Lee Enfield rifle. 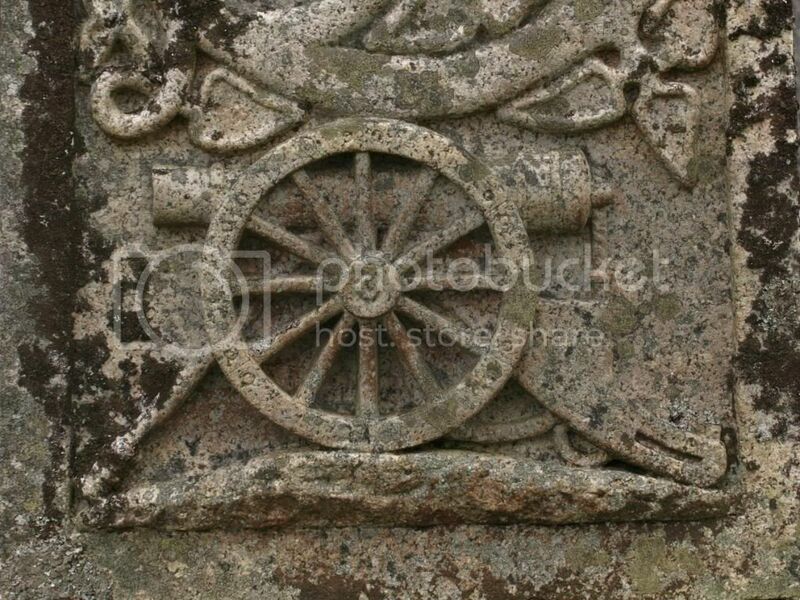 It has been damaged slightly.